Ready for spring? Brightening things up is easy with the 2014 Pantone Color of the Year: Radiant Orchid! Now, admittedly radiant orchid is not “my” color. So, when Lowe’s issued the Pantone Color of the Year design/decor challenge to the Creative Ideas bloggers, I was a bit stumped. It’s not a color we have in our house! But, it really is perfect for spring! 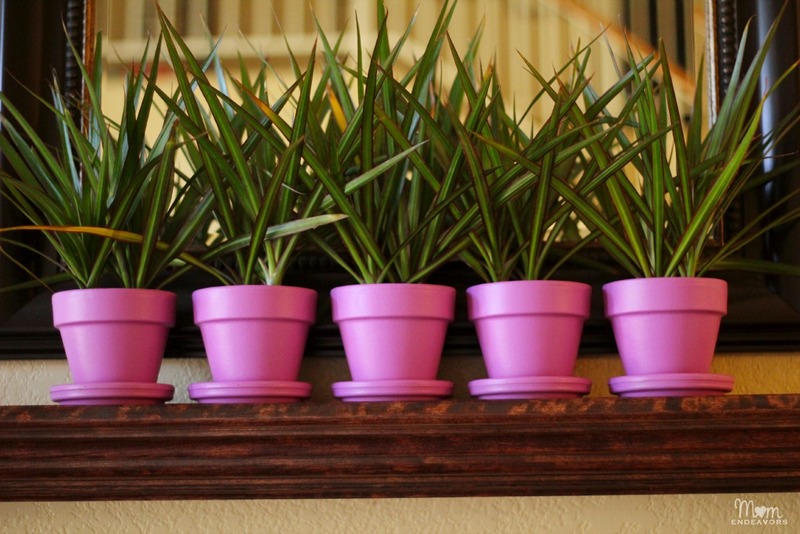 So, I decide to do a little display of some radiant orchid flower pots for the start of our spring mantel! 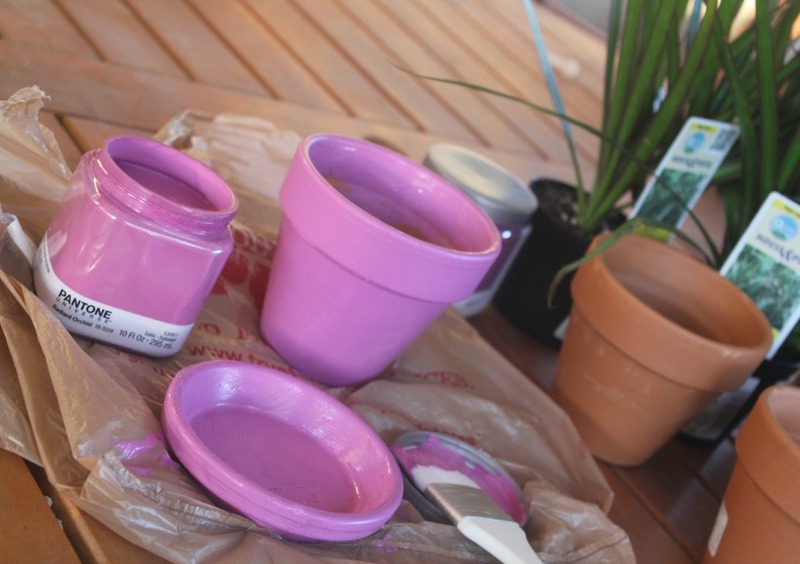 This project is super easy and inexpensive. In just a few minutes of work (and a few hours of drying time), you have a great touch of spring! Once you’ve got your supplies, just paint the pots & saucers and let dry. Once dry, pot your plants/flowers and that’s it! 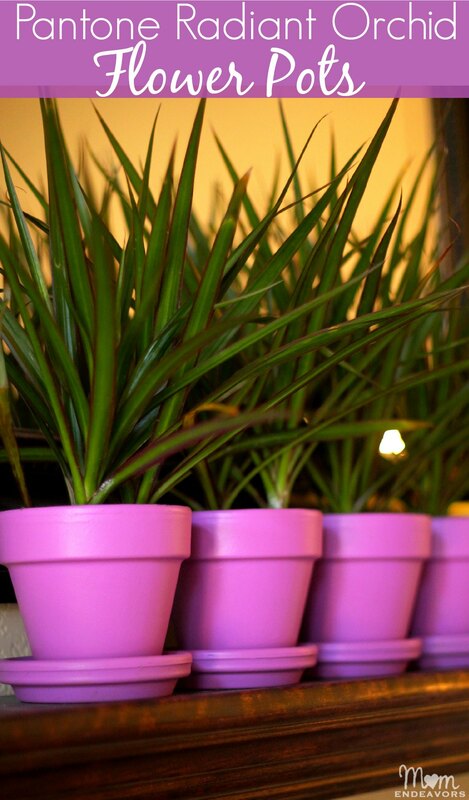 A super easy home décor project and great way to bring some spring color indoors! Our challenge needed to be completed early, so I’m pleased to say that my plants are still going strong 2 months later. They look great on our mantel and I’ll soon be adding to it to create a whole spring theme! How would YOU incorporate Pantone Radiant Orchid into your home decor? 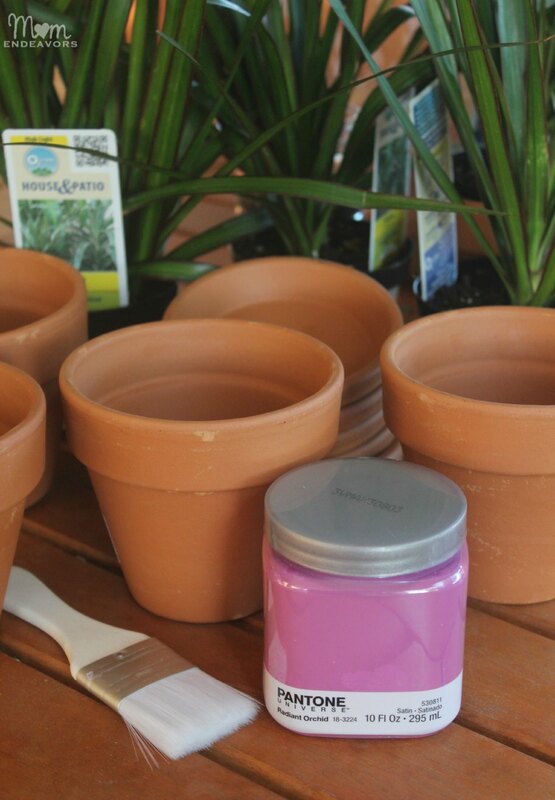 For even more #springiscalling ideas, visit Lowes Cre­ative Ideas and fol­low along with Lowe’s on Pin­ter­est or on Insta­gram! You can sign up to receive their free Cre­ative Ideas Mag­azine, which is full of all kinds of ideas & inspi­ra­tion! There’s also a mag­a­zine app so you can have inspi­ra­tion on the go! Dis­clo­sure: I am a mem­ber of the Lowe’s Cre­ative Ideas Cre­ators & Influ­encers Net­work and receive a Lowe’s gift card to com­plete my projects. How­ever, all ideas, opin­ions, & expe­ri­ences are entirely my own. Sara – do they have that Pantone paint at Loews? I love these! !